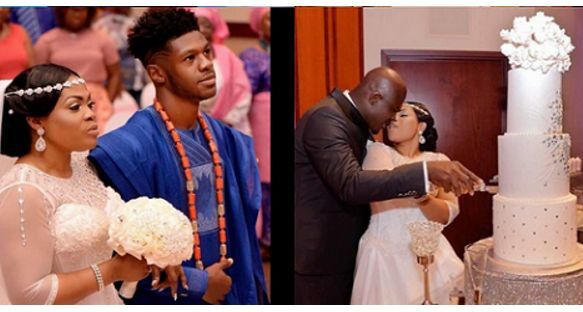 A Nigerian woman with 4 children, who said she was deserted by her ex-husband, Folasade Dairo is married again and her son was the one that walked her down aisle. 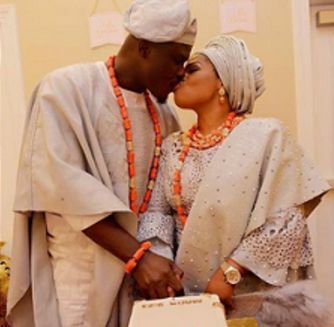 "My life is a testimony, at 42 with four beautiful children when my ex left, he told me who will want you with four kids, but to God be the glory, Olowogbogboro gave me a God fearing man and here I am today so dream do come true. Faithful God. Thanks."